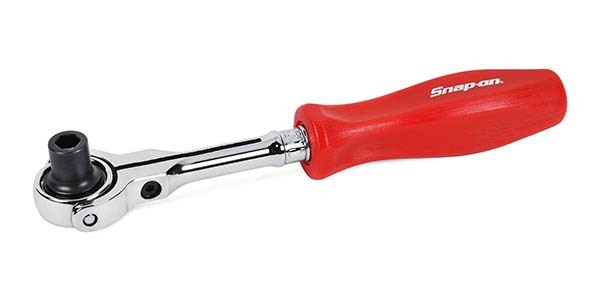 Snap-on now offers three versions of its 1/4-inch Hex Drive Round Swivel Head Bit Driver Ratchet in standard (TNFM72), soft grip (THNFM72) and hard handle (THNFDM72R) options. The new tool offers magnetic bit retention, and its slim, round ratchet head swivels 260° to get into tight work areas and includes a 72-tooth gear for five degrees of swing arc and shorter movement between tooth engagement. Eight teeth are always in contact with the gear for strength and durability, and an adjustable yoke screw allows the head to be tightened into a fixed position. A rugged nickel chrome finish resists corrosion, and it comes in standard, soft grip and hard handle versions. 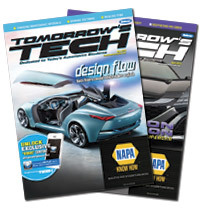 For more information, visit snapon.com.